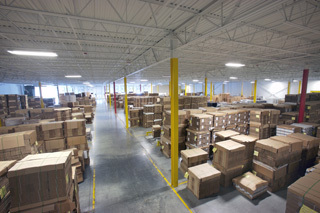 No need to store your packaging; our warehouse is your warehouse. Romanow Container offers managed warehousing services for our large volume accounts requiring multiple deliveries per week. 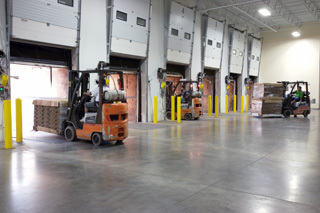 We currently have over 150,000 square feet of dedicated warehouse space available for our customers in our Westwood facility, as well as 50,000 square feet of warehouse space in our new Littleton facility. There’s no need to tie up scarce or costly space in your facility stocking our product; we’ll store it for you and ship it to you, just in time. Experience the peace of mind of knowing that your packaging products are in stock on our floor, ready for immediate delivery.